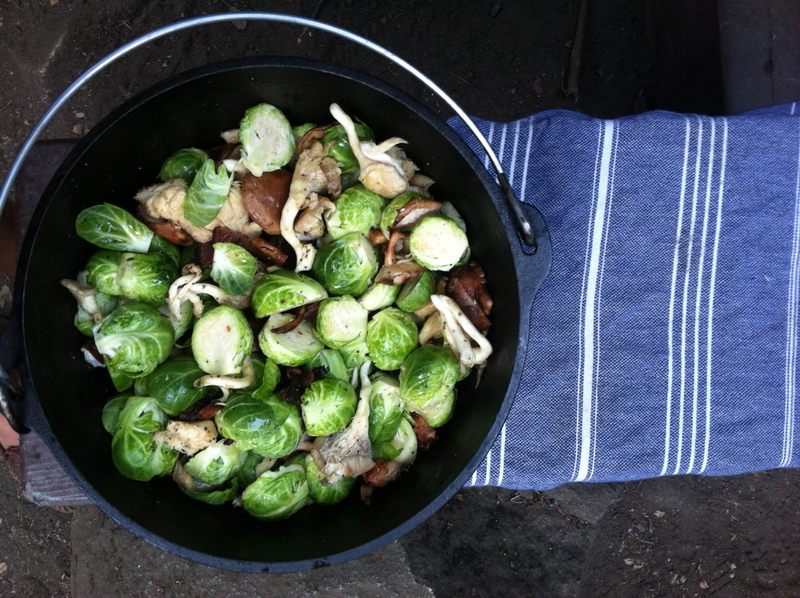 Toss the brussels sprouts, mushrooms, bacon, 1-2 tablespoons olive oil and salt + pepper into the Dutch Oven. Put the lid on and place on hot coals in fire to cook for about 45 min, stirring occasionally. Cook on hotter fire at the end to add some crisp. Once they are ready, remove from fire and put to the side. You are going to use the Dutch Oven lid now, so remove it and replace with some aluminum foil. Season your steak with salt and pepper on both sides. 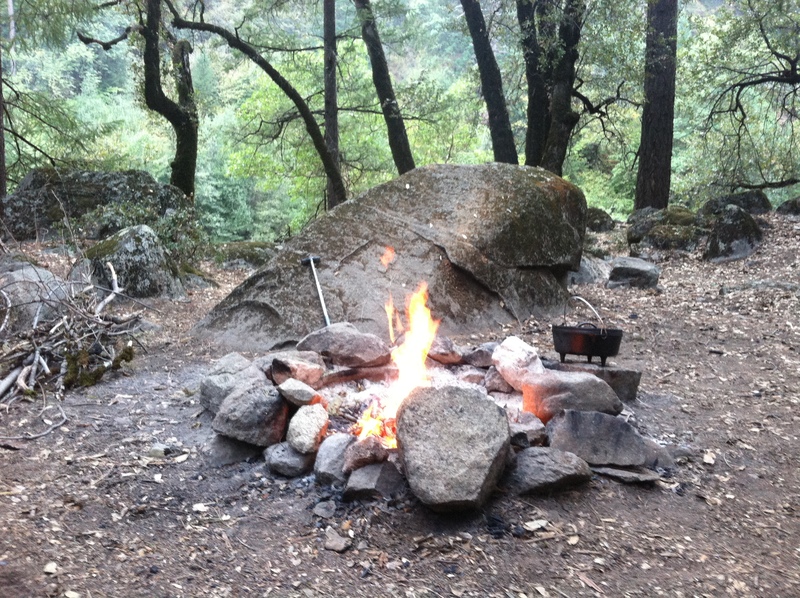 Place the grill grate onto a pretty hot fire, in a stable place. 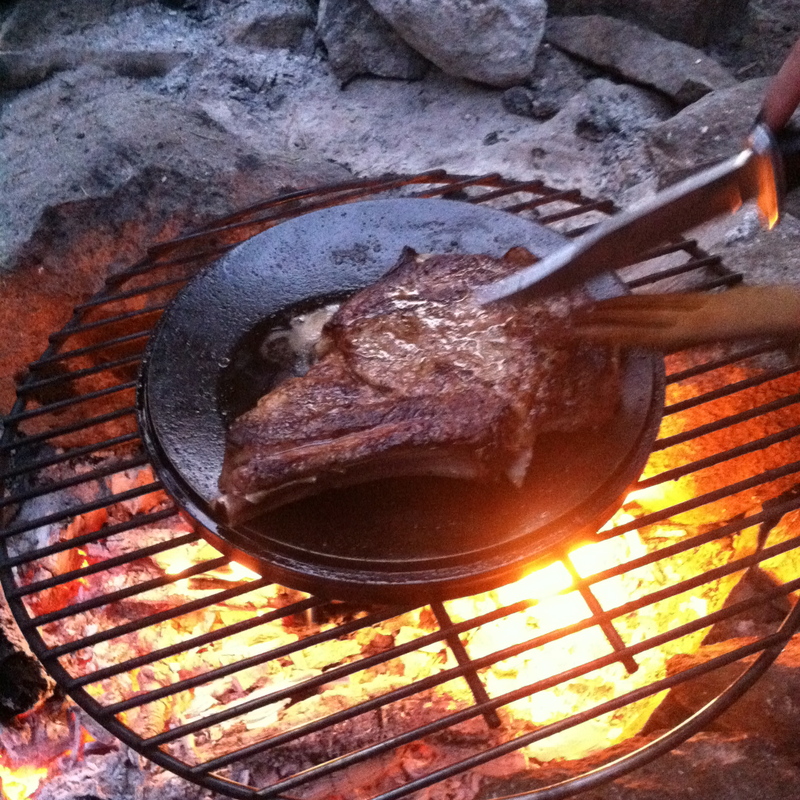 Throw the Dutch oven lid, upside down, onto the grill grate, and add a generous piece of butter. 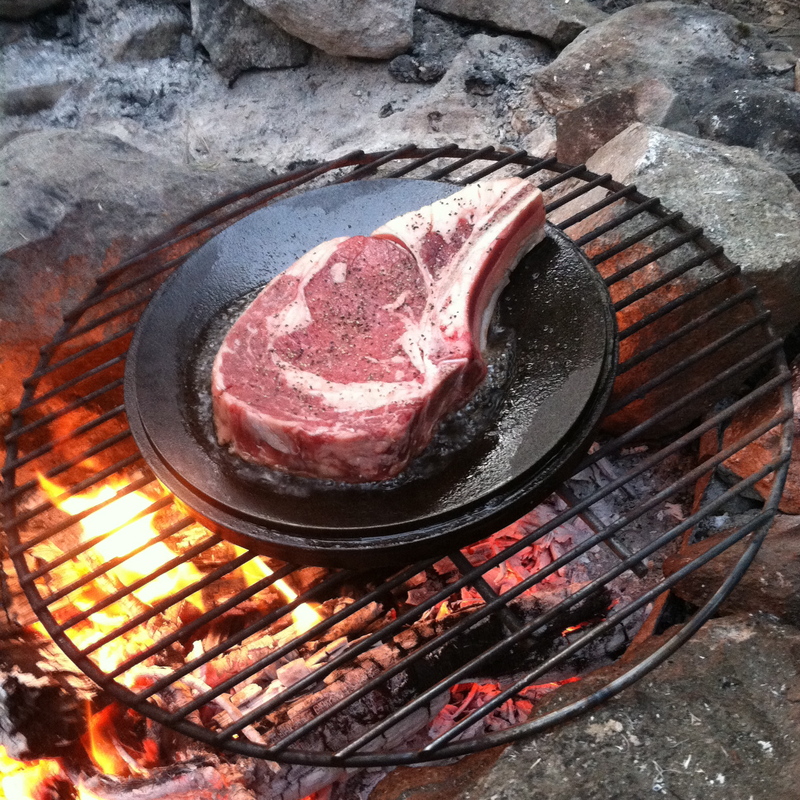 Once butter is sizzling and browning, add steak to the pan and brown both sides. Tone down the fire and let the steak cook for another 10 min or so (less for rare, more for medium-medium well, depending on your steak’s thickness). Once your steak is done, serve onto some plates with your brussels sprouts and some tasty wine, and enjoy the feast!